Nottinghamshire Save Our Services (Notts SOS) have condemned Education Secretary Michael Gove’s suggestion that a new royal yacht be gifted to the Queen to mark the diamond jubilee. Gove made the suggestion in a confidential letter sent to Jeremy Hunt, the culture secretary and minister overseeing the celebrations, and to the deputy prime minister, Nick Clegg. In 2007, when the Royal Yacht Britannia was decommissioned, the cost of a new yacht was estimated at £60m. Downing Street has been quick to insist there will be no government money for the project, despite the suggestion in Gove’s original letter, that might be a possibility. It appears that the key source of funding will be millionaires and corporate sponsors. The government apparently feels it cannot tax these organisation and individuals to fund public services, but is happy to ask for sizeable donations for a new royal yacht. Whether public money or not, campaigners believe that this is a kick in the teeth to those affected by the vicious cuts imposed by the coalition government. Rather than directing money to help those afflicted by their policies, the coalition would rather fritter it away on an oversized bath toy for one of the richest people in the country. “So much for all being in it together. My local Authority has had its central government funding cut by at least 28% over 4 years which will lead to decimation of services and privatisation of many remaining ones – both resulting in many redundancies” said Richard Buckwell, Ashfield UNISON’s branch secretary. Claire Taylor from Notts SOS added, “The reality of the government’s so-called austerity drive is that it those at the top are shielded from it. Public sector workers see their pensions under attack and their jobs at risk; disabled people fear being forced off benefits by welfare privateers such as Atos; and unemployed people are expected to work without pay under the Work Programme. Notts SOS was launched in September 2010. They oppose cuts to services, job losses and cuts in benefits and aim to support workers organisations, service users, community groups in fighting cuts in Nottingham City and Nottinghamshire. They hope to inspire confidence to think, meet and act. And to be inspired. Come to a Notts SOS meeting! Just turn up at the International Community Centre (YMCA, Mansfield Road)and look on noticeboard for the meeting room. 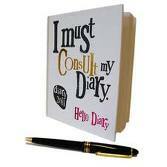 NEXT MEETING: 1st August 2011, ICC/YMCA, 7.30-9.00pm. 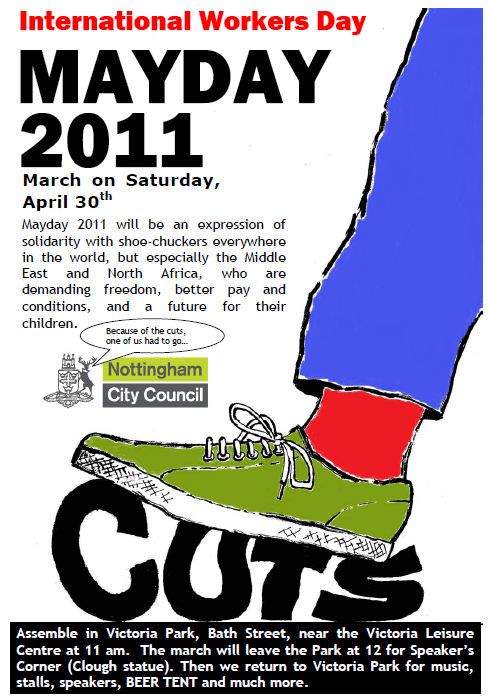 Notts SOS continues its campaign against all cuts in Nottingham and Notts. Join our planning meeting tonight (Monday 9th May 2011) at 7.30pm at the YMCA International Community Centre on Mansfield Road. Meetings are every two weeks and usually last around an hour and a half. We are compiling a more comprehensive list of cuts and threats to services to help build the bigger picture locally and to spur action, so please help. And there is plenty more to get involved with between meetings (next one after this is the 23rd)! 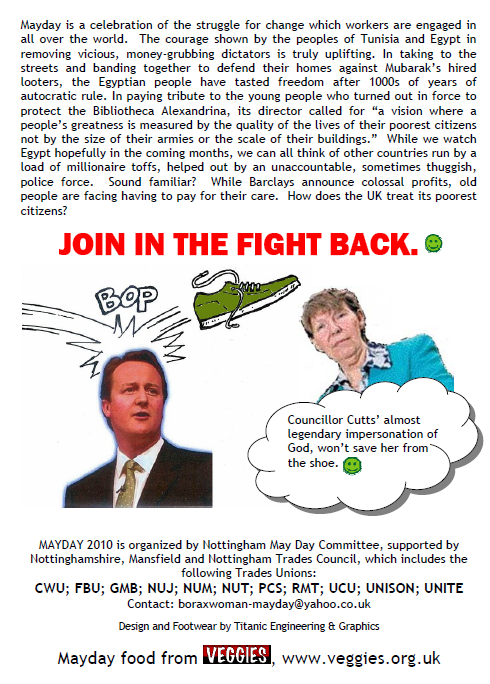 Nottingham anti-cuts diary dates in April 2011 – more added so keep looking for updates! 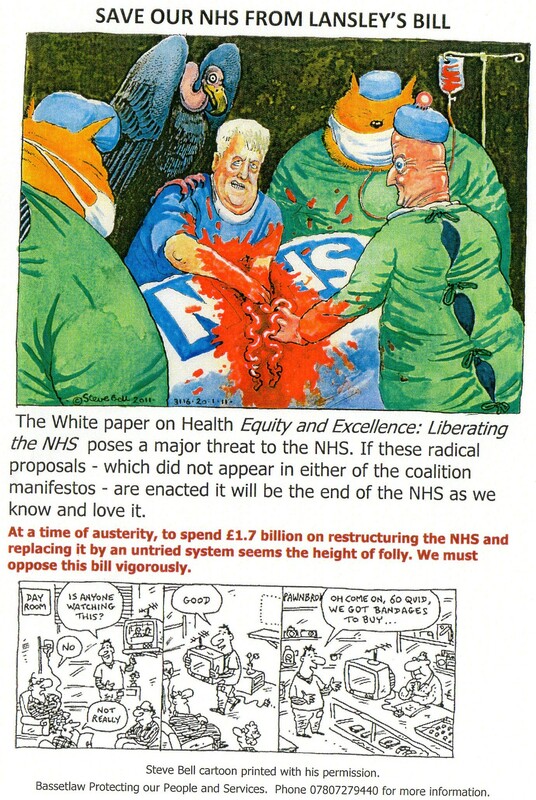 As you will see a big feature of this month’s activities is opposition to NHS ‘reform’ AKA privatisation. Friday 1st April Unison demonstration ‘Stand up for the NHS’ at Standard Court PCT offices. Report now out: http://nottingham.indymedia.org/articles/1085. Held as part of the ‘All Together for the NHS Day’. Monday 11th April Fortnightly Notts SOS planning meeting, at the YMCA International Community Centre, Mansfield Road from 7.30 pm until 9 pm. All welcome. Wednesday 13th April Nottingham and Mansfield Trades Council organised public debate between Jon Collins, County Councillor Alan Rhodes, and a Trade Union official at The Djanogly Lecture Theatre, Nottingham Trent University, Shakespeare Street off Clarendon Road, starts 7.30 pm. Wednesday 20th April Second day of the tent city on Nottingham University main campus during the Association of University Administrators conference. The camp will last from the 19th-20th and hold workshops and discussions with activists and academics on the topics including: Anti-Oppression, Gender and The Cuts, Zombie Universities, Protest Tactics, Strategies, and Direct Action, Capitalism and Beyond. There will also be food, a kids space, music, performance, and art! See above (19th April) for details. Open invitiation to participate. Thursday 21st April Save Our NHS – Kill the Bill– Notts SOS (health group) are hosting a public meeting about the Health and Social Care Reform Bill in conjunction with Keep Our NHS Public, 38 degrees and HIYE, at The Nottingham Mechanics, 3 North Sherwood Street, Nottingham, NG1 4EZ. Starts 7.30 pm. Monday 25th Tuesday 26th April Fortnightly Notts SOS planning meeting, at the YMCA International Community Centre, Mansfield Road from 7.30 pm until 9 pm. All welcome. Moved from Monday to Tuesday due to the bank holiday. Thursday 28th April MayDay Social, Polish Eagle Club, 2 Sherwood Rise, Nottingham NG7 6JN, 7.30 pm to late. Saturday 30th April Mayday festival and march, Victoria Park, Sneinton, 11 am to 6 pm. March to City Centre and back to the park starts 12 noon. Advance notice for May: Sunday 22nd May, Green Festival, Arboretum, 12 noon to 6 pm.